Geologists carry a geological hammer in the field to break off fresh pieces of rock for examination. 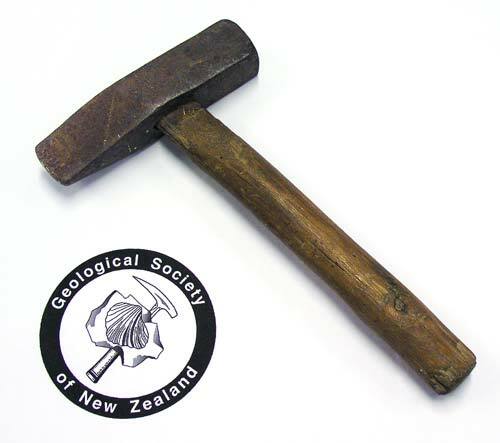 It is a very personal piece of equipment, used in the logo of the Geological Society of New Zealand (left). The hammer on the right belonged to geologist Patrick Marshall.